District is the old Citizen with new ownership. 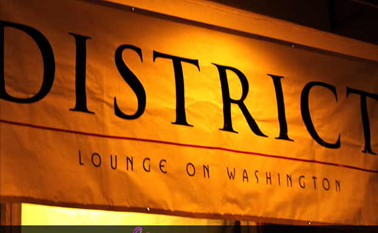 It's one of the top lounges in Washington Ave that features amazing service, awesome music, friendly bartenders, and plenty of drinks to choose from. The crowd is a great mix of party lovers, dance enthusiasts, and yuppies. Decor is nice with 60s inspired light fixtures and red upholstery. There are 3 U-shaped sofas that are meant for bottle service. There's also an outdoor seating area at the front of the club. If you are looking for a no drama place to party with huge booths/tables for bottle service, this is your place.